(From gr. ἀνώνυμος, no name). 5. m. Secret of the author who hides his/her name. Keep the anonymity. Anónima is the concept behind cm. A concept based on the standards of the Haute Couture embroidery, the artistic experimentation and the recovery of traditional craft techniques. From an intimate language about time, a memory, feeling or state is deconstructed from its maximum essence until its almost lost, creating pieces that remain on the boundary between reality and fantasy, the visible and the invisible. These pieces are embroidered and numbered SERIES with a storyline as a drawing. In each Series is developed an expression or state which, all together, make up a story with a beginning and an end. The serialization or multiplication of the same state, expression or embroidered portrait shows the difficulty of representing and identity on a single canvas. In this project, we try to move and decontextualize the Haute couture hand-embroidery techniques in a more conceptual and experimental framework. Talking about the fragility of memory through an abstract, multidisciplinary and matter language. the repetitive gesture of a needle which breaks the silence of a blank canvas; the rhythm of the minutes, of the seconds, trying to capture the memory or its absence. A work marked by the repetition of the same gesture opposed to the current industry rate. After studying Fine Arts at UEM University and Set Design at IED Madrid, she exhibits part of her work in the XXIV BMV Painting Award or Blog en Caja 08, at Centro de Arte Joven Madrid. It is in Paris at L'École Lesage where she investigates and goes into detail about Haute Couture embroidery techniques, discipline which turns into the basis of her artistic language. As a result of this, she creates Anónima by cm, an experimental project in which the materials take prominence and the Haute Couture techniques converge with the artistic ones. In 2014, she is selected to be part of Producto Fresco 2014 Exhibition and 4th Iberoamerican Biennial of Design, at Central de Diseño de Matadero in Madrid. From that moment, she participates in various exhibitions with LagaleríaMagdalena, MovArt Gallery and Lucía Mendoza Gallery (Madrid) and she assists to IV Cultur3 Club Edition (Gijón). 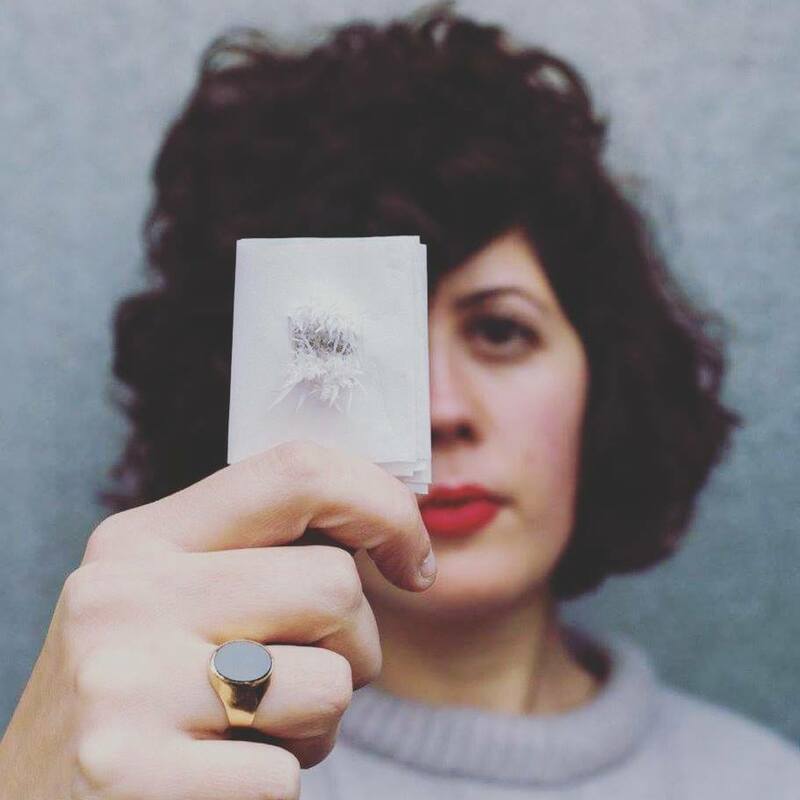 In 2016, she gets involved in international and multidisciplinar projects as The Other Art Fair in London, 3rd Contemporary Textile Art Biennial Guimarães - Contextile 2016 in Portugal, Wearables at Matadero de Madrid and Objet: cerámique et textile, at La Manufacture de Roubaix, France.